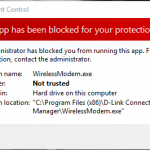 I have recently upgraded to windows 8 to windows 10, When i tried to open D-Link Connection Manager it did not opened due to Error of User Account Control. 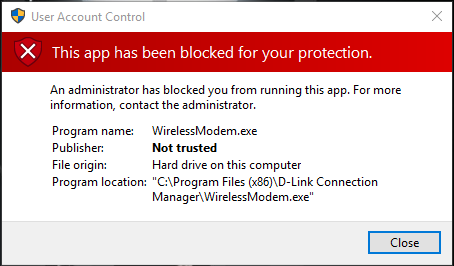 An administrator has blocked you from running this app, For more information contact the Administrator. Write down Path of the .Exe. Right click on icon of your app. Where cd list directory and start will launch the App. 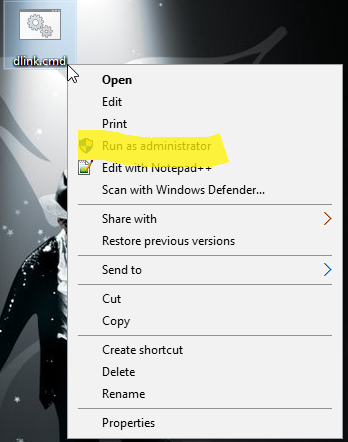 Just Choose “Run As Administrator” by right clicking on it. 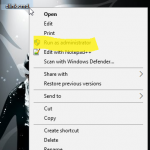 You can also make dat file to run the commands. 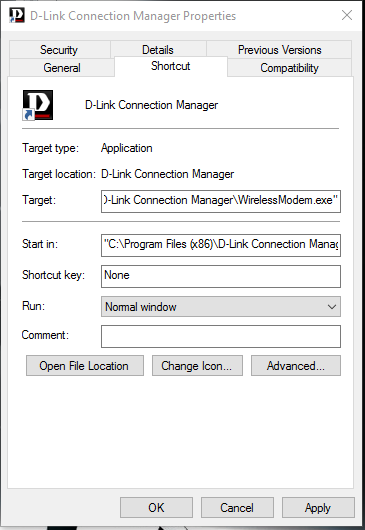 And if you are facing problems specific to DLink Modem then Download Lastest Connection Manager. You have question or better solution then let me know. wonderful! it works! thank you so much! Thank you so much – I have been battling with various suggestions for days, with none of them working. My brother is the administrator and he blocked some of my apps. He left the city and now I want to use those apps even though I am not a administrator. Will this method work for me too?? Yes Yes Yes Yes Yes!!!!!! It Worked.Thank you so much!